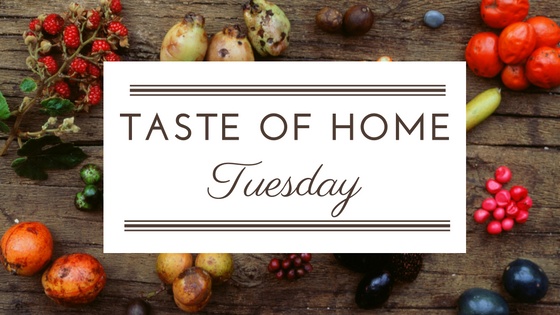 It has been a very long time since I've participated in any Taste of Home Tuesday recipe reviews. I tried out a new upside-down cake recipe yesterday, and figured it was time to give another one a shout out again. 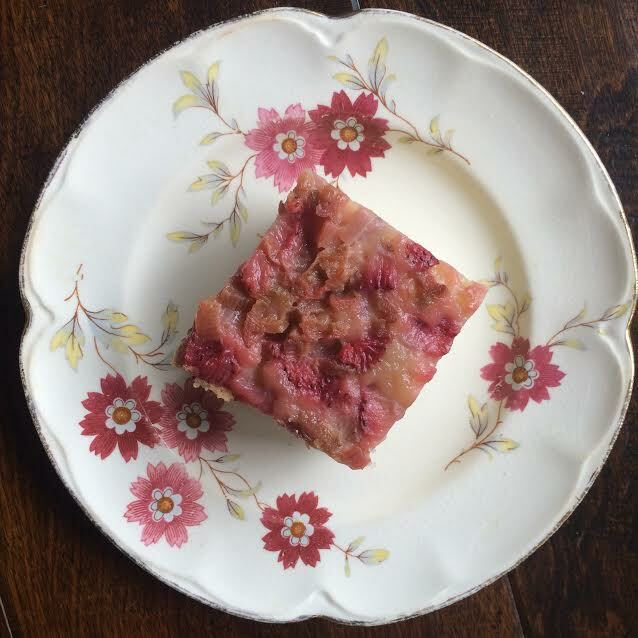 If you enjoy rhubarb, you will LOVE this! I've had this recipe flagged for quite some time....ever since I received the Taste of Home Cookies, Cakes and Pies cookbook last fall. So, when yesterday looked to be a perfect rainy baking day, and I had just enough rhubarb poking out of the ground, it was the perfect time to give this one a go. Note that I also created some fun little trifles out of the leftovers of this cake. 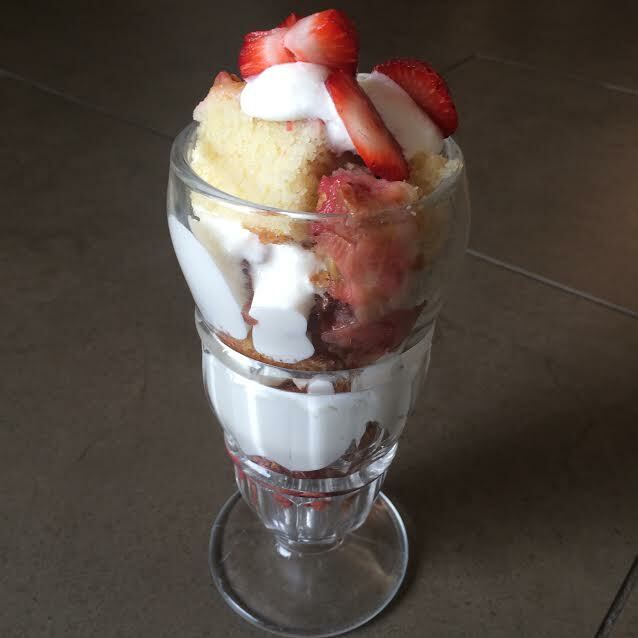 Simply slice into super small cubes and layer them in clear bowls or sundae cups. Add layers of whipped cream between the cake cubes and voila....a new twist on this cake. Enjoy! or until butter is melted; carefully swirl to coat evenly. -Place rhubarb, blueberries and cranberries in a bowl; sprinkle with sugar and toss to combine. each addition. Beat in jam and vanilla. In a small bowl, whisk flour, baking powder and salt. Add to creamed mixture alternately with milk and orange juice, beating well after each addition. Pour over fruit, spreading evenly. toothpick inserted in center comes out clean. Cool 10 minutes. -Loosen edges of cake from pan with a knife; invert onto a serving plate. Serve warm or at room temperature. Yield: 8 servings. Be sure to check out Jolene's review this week, below! My MILs rhubarb is coming along nicely and I can't wait to use some to make this! Love the trifle idea also.